Professor Holly McGee recently returned from seven months in South Africa where she led the History Department’s first study abroad trip to the continent and then stayed on to conduct research on her current book, a study of Black women's activism in South Africa during the Apartheid era. 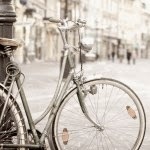 History Blog: Where did you go in South Africa with your class? Did you do your research in the same places? Dr. Holly McGee: During our study abroad course, we spent a month traveling all over South Africa, with stops in Cape Town, Johannesburg, Durban, and Pietermaritzburg. In July when I switched to working full-time on my manuscript project, I relocated to Lesotho for an additional 5 ½ months where I lived in a small town named Roma. HB: Why South Africa? And what was it that drew you to take students there? HM: One of my areas of research is South African history, and I’m really excited to be able to open up international work and travel as a viable study option for UC students, and History majors, too, of course! HB: What did you and the students do during your month together in South Africa? HM: The study abroad course was an intensive historical, cultural, and linguistic immersion program. Students were able to learn Zulu, live with local families, and get a real—rather than tourist-like—taste of South Africa. HB: That sounds amazing. What are some of your most memorable moments? HM: I convinced a number of friends and family members to make a small financial donation, and prior to leaving Lesotho was able to purchase 43 pairs of shoes and 20 outfits for children on their first day of school. It felt great making the drop-off at the local orphanage! HB: What was one of your most memorable moments with your students? HM: One of my favorite moments from the trip were those when I realized students had really embraced a sense of international independence. There were numerous occasions where students had the opportunity to get out and really experience South Africa without my direct supervision, and to know that they felt comfortable, safe, and secure enough to do so was really gratifying. This particular image is of a day that two students—Shameka Neely and Cierra Carter—decided to take an independent, half-day trip to Soweto. The ladies had a wonderful time visiting the city with a former resident, and even had an opportunity to visit Nelson Mandela’s home! HB: What is something new that you learned about South African culture? HB: Lastly, what would you say to students thinking about a trip or a study abroad opportunity in Africa. We usually hear about study tours in Europe, sometimes Asia or Central and South America, but Africa less so. What’s your view? HM: I would absolutely encourage everyone to travel to the continent of Africa. After all, it's the cradle of civilization. In December students from UC stood on Omaha Beach in Normandy, France, where 71 years ago the D-Day invasion occurred. The honors history course “A Global History of World War II” gave them this opportunity. The course taught students about the war with emphases on its comprehensive impact not only on the battlefield but also on the intellectual, cultural, and political life of belligerent states. Among the most important of these states were Germany, the Soviet Union, Japan and the United States. To engage students the seminar included text-based discussions, theater and play acting, debates, art analysis, and other active learning exercises. 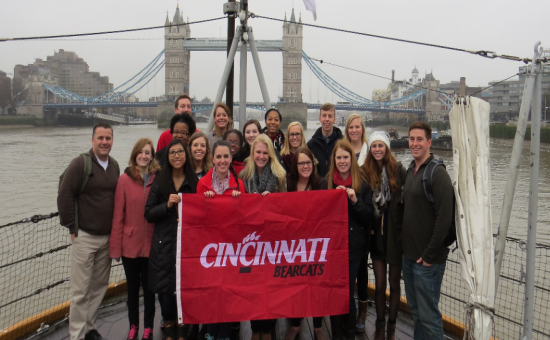 The course culminated with a study tour of London, Paris, and Normandy. Here students enjoyed a more personal encounter with locations and artifacts to grasp a better understanding of them. Dr. Jeff Zalar, assistant professor of Modern German History, taught the course. According to Zalar, the seminar is important to teach, because The Second World War endures in the minds of contemporaries today. Mikala Stokes, a second-year History major, participated in the course. “I have always been interested in WWII. Both of my grandfathers served,” said Stokes. Stokes initially found the seminar to be challenging, but later realized that the knowledge she attained would have an impact. “From this course, I gained some awareness of mankind’s capacity for both stunning valor and abysmal destruction,” said Stokes. The study tour was the first time Stokes travelled out of the country. It was significant to her to walk on Omaha Beach. “This was an awesome and emotional experience, because I got to retrace some of the steps that my grandfather took over 70 years ago. He was part of the Normandy Invasion at the end of WWII,” said Stokes. Natalie Pfister, whose son Trenton also participated in the seminar, commended Dr. Zalar and the course in a letter to the Director of the University Honors Program. “Dr. Zalar and this course is a shining example of honors education; a course which leaves a student with deep understanding of a subject,” said Pfister. Based on her son’s experience, Pfister highly recommends the course. “The combination of intellectual understanding, along with the experience of visiting the major sites gave our son insight and perspective that comes from high-caliber honors experiences,” said Pfister. Debbie Brawn, Director of the University Honors Program, also commended Dr. Zalar on his teaching. The vision of the University Honors Program is that students become global citizen-scholars who lead innovative efforts toward solving the world’s complex problems, according to Brawn. “The transformational approach that Dr. Zalar takes to teaching brings this vision to life, offering a life-changing learning experience that challenges students to think about themselves as leaders in a global context,” said Brawn. These praises led to a commendation from University President Santa J. Ono, too. "What Abu Bakr al-Baghdadi and ISIS Don't Know About Islamic History: The Use and Abuse of History in Modern Iraq and Beyond"
When the leader of the Islamic State in Iraq and Syria (ISIS), Abu Bakr al-Baghdadi, declared himself Caliph this past June, he was attempting to connect himself and the extremist, militant organization he leads to a millennia old Golden Age of Islamic Civilization when the Caliphs ruled a Sunni Muslim Empire that stretched, at its height, from Spain in the West to the frontiers of China and India in the East. Despite these attempts to legitimize his rule through evocations of the past, al-Baghdadi and ISIS’s actions before and after this declaration have had little resemblance to the actual Caliphs of the past. This is because al-Baghdadi’s vision of the past is shaped not by the actual study of history but by much more recent political and religious movements and ideologies. In this talk, Prof. Robert Haug of the University of Cincinnati History Department will discuss the use and abuse of early Islamic history in modern political discourse, what people from Abu Bakr al-Baghdadi to the American media gets wrong about that past, and the origins of these politicized versions of history. Professor Mazower is one of the most accomplished historians working in the academy today. Group, and the Global Studies Taft Research Group for the funding and assistance. Mark Mazower, of Columbia University, will be at UC on Thursday and Friday, February 27-28. 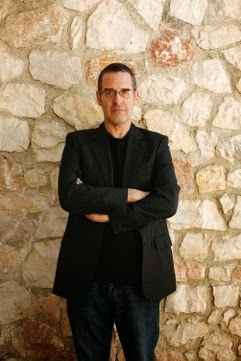 He will give a public lecture at 4 on Thursday entitled "The Greek War for Independence in Global Perspective" and this will take place in the Taft Research Center at One Edwards. There will also be a book seminar on his latest book Governing the World: The History of an Idea from 9:30-11:30 (after meeting with students at 9) on Friday. The book seminar will be in the VR room. There will be copies of the book available soon for the book seminar; all three graduate lit seminars are reading the book this semester and will be participating in the seminar, which should make for a lively gathering. Ethan Katz and Steve Porter have arranged this visit. Deborah Cohen, of Northwestern University, Sunday and Monday, March 2-3. Professor Maura O'Conner will have a reception at her home for Deborah on Sunday at 4 and she will participate in Professor Kwan and Professor O'Connor's combined seminar on Monday March 3 at 3:30 in 475 Langsam with History 3000 students who are reading her latest book Family Secrets: Shame and Privacy in Modern Britain. Earlier in the day, Jason Krupar, Director of Undergraduate Studies, and Professor O'Connor will organize a pizza lunch for undergrad majors and minors, grad students and faculty. Kate Brown, from the University of Maryland, Baltimore County, will deliver a lecture on her new book Plutopia, on Tuesday March 4 from 2-3:15, room to be announced. Department Head Willard Sunderland has helped to arrange for this visit. Vanessa Schwartz, of the University of Southern California, will deliver the plenary lecture at this year's annual QCC held in the Taft Research Center on Friday, 11 April. The lecture takes place at 12:30 and Schwartz's paper is entitled "Obsolescence, Technology and The Aesthetic of Expendability at the Dawn of the Jet Age." The graduate students, especially Vanessa de los Reyes and the QCC committee, have arranged for this visit. Many of you in the UC History Community may find this play and discussion forum of particular interest as it explores racial and class change in an urban neighborhood that closely parallels similar changes in neighborhoods in Cincinnati both in the past and the present. As many of you know, tumultuous neighborhood racial change occurred in Cincinnati and elsewhere during the 1950s and 1960s. Now, whites are beginning to move back into some of these neighborhoods, ones that have been largely black since the middle of last century. The best known of these is Over-the-Rhine, of course, but less well-known is that this is occurring in other neighborhoods in the city. The play, Clybourne Park raises questions about how we might respond to such changes in our own neighborhoods and the forum sponsored by Housing Opportunities Made Equal and the U.C. Sociology Department provides a place to discuss these issues with Kathryne Gardette, a longtime Cincinnati activist and currently president of the Walnut Hills Redevelopment Foundation; Jeffrey Timberlake, a UC sociologist who is an expert on race and residence; and Timothy Douglas, the director of the play. Playhouse in the Park is performing Clybourne Park Jan. 18 - Feb. 16, 2014. Called “ferociously smart” by The New York Times and “uproariously funny” by Entertainment Weekly, Clybourne Park is one of the most acclaimed plays of the decade — winner of the Pulitzer Prize and Tony Award for Best Play. The play is a spin-off of Lorraine Hansberry’s classic “A Raisin in the Sun.” In two acts set 50 years apart, the same Chicago bungalow sits at a volatile intersection of race and real estate, initially in 1959 with its sale to the neighborhood’s first black family and then in 2009 during the first wave of role-reversing gentrification. Click here for the flyer for the performances. Welcome reader, here you will find cover stories and images over historian lovers and contributors surrounding the University of Cincinnati.